Donald Trump and his legions are not tightly tethered to factual reality, but they are willing to grab onto it when it suits them. One of those occasions is when the official unemployment rate — which as a candidate he denounced as "the biggest joke there is in this country" — comes down, as it did in October, reaching 3.7 percent. Growth has been good, with the gross domestic product rising at a rate of 4.2 percent in the second quarter of this year and 3.5 percent in the third. But the euphoria felt by Republicans was absent when GDP growth exceeded 4.2 percent in four different quarters under Barack Obama. The trick is to sustain such high rates, which Obama couldn't and which Trump has yet to prove he can. Though unemployment has fallen, job growth has not actually accelerated. In the first 21 months of Trump's tenure, the economy added fewer jobs than it did in the previous 21 months. For a long time, he took credit for the rising stock market. But the Dow fell by 5.1 percent last month, and the S&P 500 dropped 6.9 percent — making it, The Wall Street Journal noted, "the worst October for the S&P 500 since 2008." The stock market is still well above the level on Election Day 2016, with the S&P 500 up by 27 percent. But that index rose by 35 percent over the same period in Obama's first term. The tax cuts Trump signed may well have boosted growth. But Republicans may not want to look too closely behind the improvement. An analysis by The Wall Street Journal concluded that "faster government spending accounted for nearly half of the acceleration" that has occurred since April 2017. The regulatory rollback may also be good for some industries, particularly those that pollute. But more toxins in our air and water and more greenhouse gases into the atmosphere will work to the eventual detriment of human health, the climate and the overall economy. If Trump's tax cuts and deregulation are welcome in the business world, his trade policies have not been. He discarded the Trans-Pacific Partnership and placed new tariffs on steel, aluminum, solar panels and a range of Chinese goods. 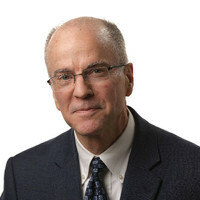 Economist Steven J. Davis of the University of Chicago and the Hoover Institution maintains an index of "trade policy uncertainty." It has consistently been higher during Trump's time in office than at any time since 1994. Davis says the president's trade policy has had a "small negative effect on U.S. business investment" and "has the potential to cause a good deal more economic pain."